Keeping the dish simple doesn’t mean boring food – it’s more to keep menu planning uncomplicated. This can be achieved by using specific ingredients that compliments the main component of the dish in order to make more exciting and balanced flavours. Umami gets a lot of press these days due to this 5th sense being confirmed by Western scientists in recent times (after salt, sweet, sour & bitter). For those who need a reminder, umami exudes a pleasant savoury taste from different foods. Colour in Japanese cookery has always been one of the highlights of this cuisine. The usage of seasonal ingredients is vital in maintaining a balanced menu. “When I use ingredients that are in season, it means they are super fresh and full of natural flavours. Asparagus is a great example. When it’s in new season (November & December), the taste is so sweet & juicy, but at other times of the year when it’s imported from countries like Mexico and Peru, the taste is notably bland and the texture is harder and stringy. When broad beans and chestnuts are available, I always incorporate them into my menu planning. Customers recognise these changes and the feedback is always great. Bonito is such a flavoursome fish to use when it’s available in the winter months, and I love the snapper caught from our bay at the end of each year. These two fish are perfect to be served as sashimi – fresh, textural and full of flavour. 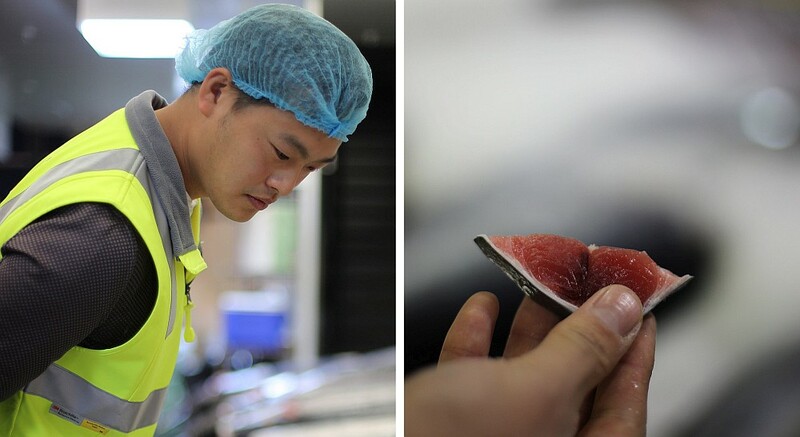 The ability to specifically inspect and select our tuna, fresh from being caught, means we can guarantee freshness, quality and flavour. There is always much customer interest in our chef’s “tools of trade”. 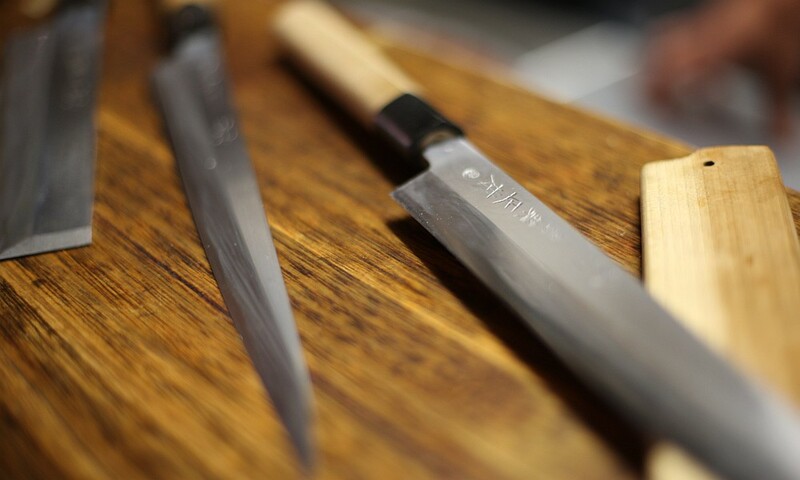 Ogawa prefers the history, tradition and precision, of the traditional single bladed Japanese knives – Yanagiba, Usuba & Deba, which he firmly believes gives a higher precision in cutting and a more complete mouth feel to the ingredient that has been cut. 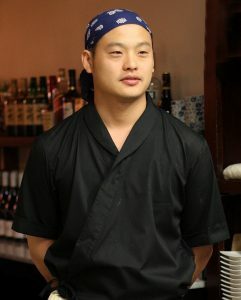 Ogawa has observed the increasing popularity of izakaya in Melbourne over the past decade or so. 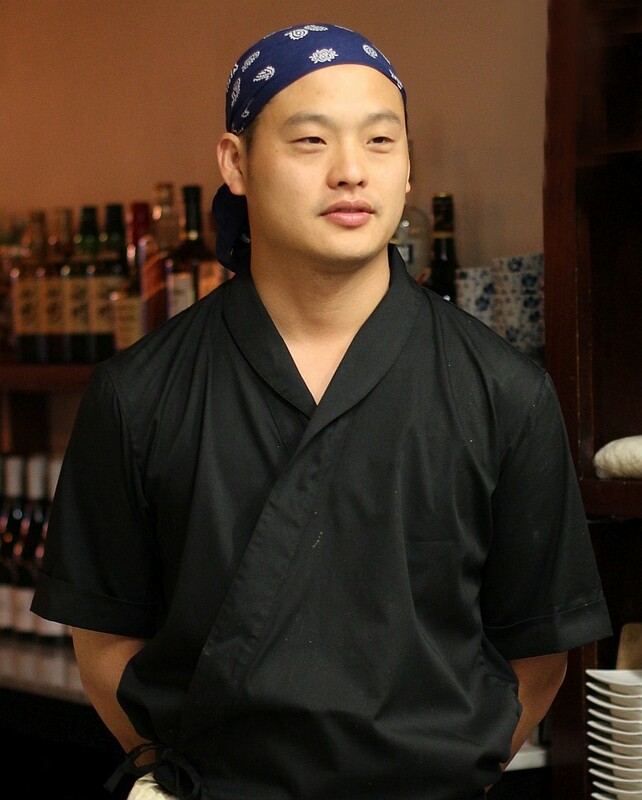 “I’m not particularly surprised with the growth of izakaya. More Australians are visiting Japan than ever before, experiencing izakaya and loving it. The opportunity to taste several flavours as opposed to having the traditional entrée and main course, is very appealing to a lot of people. Izakaya in Japan is regarded as a drinking tavern where customers will purchase a drink and have some food to accompany that drink. It’s kind of similar to pub culture in Australia (although the definition of pub is changing or developing somewhat with the introduction of gastro pubs and other venues with a much stronger focus on food offerings). Ogawa feels that dishes should be designed with a potential beverage in mind for it to be matched with. “Traditionally a restaurant food menu will be produced entirely on its own merits, and a sommelier or beverage purchaser will match or pair their drinks list with that same food menu. 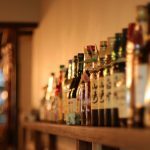 An izakaya in Japan is more beverage focused, so the opposite can occur as well. So what is izakaya food? Ogawa says there are several commonly listed dishes that many izakaya offer, but at En Izakaya he prefers a more modern approach to his creations. 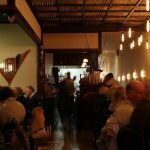 “Here at En Izakaya, I try to incorporate some subtle western style methods of cookery as well as choice of ingredients -without losing the tradition of Japanese cooking. We prepare onsen tamago (egg in a hot spring bath) via temperature controlled simmering (sous vide). Each egg is cooked at 68 degrees for 18 minutes. Japanese restaurants in Australia tend to sell a variety of Japanese dishes – ramen, tempura & sushi are a few examples. In Japan, there are restaurants that specifically only sell these dishes. A typical izakaya in Japan won’t feature donburi (a bowl of rice with cooked meat, fish or vegetables that is consumed as a meal for one person) on their menu. This also applies to other popular Japanese dishes such as platters of sushi and sashimi. In Australia, many izakaya still offer these menu items which creates confusion to what the concept of izakaya food is.